Simon Wood is a California transplant from England. He’s a former competitive racecar driver, a licensed pilot, an endurance cyclist and an occasional PI. He shares his world with his American wife, Julie. Their lives are dominated by a longhaired dachshund and four cats. He’s the Anthony Award winning author of Working Stiffs, Accidents Waiting to Happen, Paying the Piper, Terminated, Asking For Trouble, We All Fall Down and the Aidy Westlake series. His latest thriller is NO SHOW, the first in the Terry Sheffield mysteries. 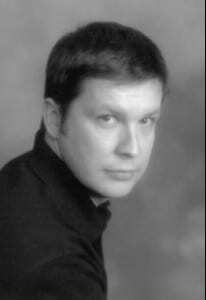 He also write horror under the pen name of Simon Janus. Curious people can learn more at http://www.simonwood.net. The fascination with an idea or thought that would be interesting to illustrate through the medium of a stories. I’m a big outliner. I have a color coded spreadsheet that keep track of the story in bullet point form. I find it gives me confidence in the story is a solid one. It comes down to publishability. I work with traditional publisher, small presses and I self publish my backlist. I assess the book/story and its potential and which publishing out would be best. There are things traditional publishers can do better and there are things I can do better for myself. At the end of the day I make deals that benefit me as the writer most. I don’t worry about it. There’s point in point in worrying about things I can’t control. I monitor the changes in the industry and act accordingly to stay on top. Triller, Mystery, Crime, Horror, Supernatural & Humor.